Recently, Forbes Magazine published an article by Ron Shevlin entitled “5 Cybersecurity Myths Banks Should Stop Believing.” We highly recommend the piece; we find it well-researched and crucial to dispelling long-held mistakes in financial cybersecurity. 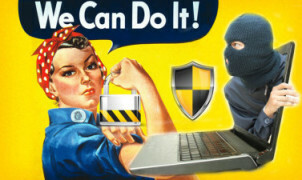 However, the article also raises a distinct question: can businesses use their cybersecurity as a competitive advantage? Put another way, can businesses—financial or otherwise—market themselves in part on their cybersecurity policies and strengthens. Mr. Shevlin puts forth the idea of cybersecurity as a competitive advantage to refute it as a myth. He argues customers expect their financial institutions to demonstrate strong cybersecurity as a prerequisite for their patronage. Concisely, consumers consider cybersecurity a necessary feature rather than a perk. Indeed, IAM vendor Ping Identity found well over 75% of consumers won’t digitally interact with brands after they suffer a breach. 36% would abandon a brand altogether. Their research indicates customers do expect cybersecurity to some degree. Certainly, a breach poses a significant danger to your word-of-mouth. Moreover, Mr. Shevlin points out that boasting about your enterprise’s cybersecurity can, in fact, backfire. No cybersecurity policy or endpoint security can prevent 100% of all penetrative cyber attacks. While enterprises adopt detection and response cybersecurity with capabilities like EDR, consumers still hold onto a preventative cybersecurity mindset. Marketing your endpoint security as a competitive advantage, then reporting a breach (however minor) could create even worse fallout with your consumers. In addition, Shevlin points out only the largest enterprises possess the potential for truly great cybersecurity…and even then they still struggle. We here at Solutions Review certainly find Mr. Shevlin’s argument compelling; certainly, his argument about the potential of a backlash carries real weight. Yet simultaneously, we do wonder whether enterprises could market their endpoint security or general cybersecurity as a competitive advantage. Even with the research, enterprises continue to struggle in recognizing the need for a next-generation cybersecurity solution, especially in endpoint security. Instead, they maintain their weaker but more familiar legacy solutions to their detriment. This could mean innovating your cybersecurity policy, then carefully choosing your marketing strategy, could help transform it into a competitive advantage. Perhaps, by implementing stronger cybersecurity, you can attract consumers disillusioned with breached competitors. 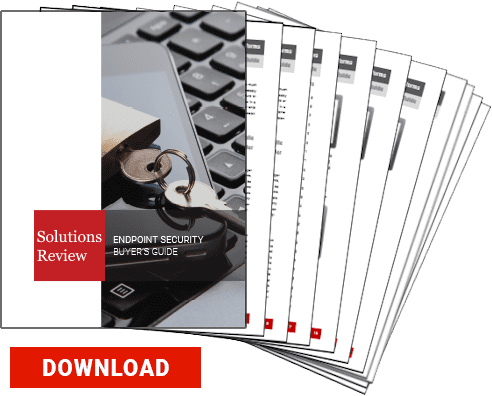 Selecting and deploying next-generation endpoint security which matches with your enterprise’s use case. Staying abreast of new cyber threats with multiple threat intelligence feeds. Having a clear, strong incident response plan, which your enterprise as a whole understands. Having a fully staffed security operations center. Outlining clearly to consumers what exactly you do to keep their data privacy safe (within reason so as not to give hackers too much information). Specifying what key endpoint security capabilities do to maintain security. Never making promises about cybersecurity you cannot fulfill. We stress that your enterprise must exercise caution if you intend to make cybersecurity a competitive advantage; Mr. Shevlin’s argument should consistently guide your actions in this regard. Consider this article—an opinion piece—as a counterpoint to his piece rather than a clear set of best practices to follow. If the idea appeals to you, you should consult with your IT security and marketing teams to determine how you wish to portray yourself in a digital marketplace consistently imperiled. Don’t make the mistake of marketing yourself as an unsinkable ship. Instead, think of marketing yourself as a stronger ship…and taking the steps to ensure your business earns that title with next-gen solutions. Next Next post: Endpoint Monitoring, EDR, and Endpoint Security: What Do You Need?